Newport Jets is your premiere Van Nuys, California charter jet company, providing private jet charter flights in and out of Van Nuys, California. The company’s private jet travel team is available now to arrange your local Van Nuys jet charter service. Our experienced and professional concierge team will not only handle your jet charter flight, but will plan your ground transportation, and recommend first class Van Nuys hotel accommodations. Newport Jets has a wide variety of Van Nuys private jets to choose from, including the excellent Gulfstream G550 to the Learjet 31, the company has the perfect private jet aircraft for each and every trip. To make your stay in Van Nuys comfortable and luxurious we’ve provided some local information on hotels, private jet airports and popular attractions. We are also pleased to tell you our charter jet team specializes in booking jet charter flights to and from Van Nuys, Teterboro, Las Vegas, Aspen, and Honolulu – as well as hundreds of other domestic and international destinations. Van Nuys, in the San Fernando Valley, is part of Los Angeles. Van Nuys is situated north of US Rte. 101, and is north of Sherman Oaks, south of North Hills, and Panorama City. The city gets its name from a wheat farmer who settled there earl on named Newton Van Nuys. Van Nuys is known for Van Nuys Boulevard, a main thoroughfare known from the 50’s to the 70’s as a strip for teenage car cruising. Van Nuys is also home to Van Nuys Airport, which is the busiest general aviation airport in the world, and the 25th busiest airport in the US. 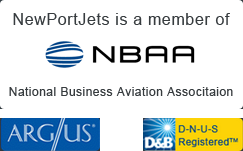 The airport serves a wide variety of corporate, private and government aviation needs. The top attractions in Van Nuys are the Leo Magnus Cricket Complex, Japanese Garden, Sherman Oaks Castle Park, Anthony C. Beilenson Park, and the Van Nuys Recreation Park. Located just north of Los Angeles, the city is a quick drive to top restaurants, great shopping and entertainment venues. The closest airport with commercial airline service is Bob Hope Airport in Burbank.